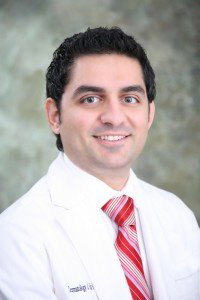 Dr Sean Behnam is a dedicated hair restoration specialist. He only performs hair transplant and his practice revolves only around hair loss. His philosophy is to perform one procedure a day to be sure he provides the best quality hair transplant. Dr. Sean Behnam is a dedicated researcher, innovator and mentor, most importantly he is an artist. A great hair transplant requires detailed artistry. Dr. Sean spends the time designing a natural hairline that suits you. Whether it’s a hair transplant or eyebrow transplant, Dr. Sean’s goal and philosophy revolves around providing the most artistic results and the highest quality care. He performs only one surgery a day and he makes sure that neither he nor his staff are rushed. The entire process actually begins at the initial consultation, where Dr. Sean carefully examines your medical and hair loss history and review your goals and expectations. His detailed hair analysis includes a microscopic examination of the donor and recipient areas. He also performs a density count to estimate how many grafts one can potentially get from a transplant as well as hair mapping analysis to determine the amount of grafts needed to achieve a great result ( please see hair loss evaluation page for more information). He draws the hair line based on the patients’ goals and what best fits and frames the face. Time is also spent understanding the patient’s expectations and making sure the patient’s goals are realistic. For more details about the consultation please see the free hair restoration consultation page. Below is a video about the hair transplant procedure, Dr. Sean’s philosophy, the consultation and procedure day. At the consultation patients are given the pros and cons of both procedures, (strip procedure) FUT and (follicle unit extraction) FUE. Dr. Sean also discusses alternative therapies, such as oral medications and lasers to maintain one’s current hair. Dr. Sean and his staff give you all the information needed to make an informed decision. No one is ever rushed into a procedure. On the day of the procedure Dr. Sean reviews the material that was discussed during the initial consultation. His day is dedicated to the detailed aspects of the procedure which includes making sure the patient has a clear understanding of what is going to be achieved, there are never any surprises on the day of the procedure. At the end of the procedure, Dr. Sean reviews all the post-operative instructions personally himself and you have adequate time to ask all necessary questions. He then provides the patient with his personal cell phone number. Dr. Sean prefers that his patients follow up with him many times over the next few weeks in order to achieve the highest level of care, satisfaction and results. Dr. Sean has always been a detail oriented, hands on person. He brings that to all levels of patient care. From the initial consultation to the follow-up after full growth, Dr. Sean enjoys taking the time with each patient to answer their questions or address their concerns. It all comes from his understanding and empathy. He gets that a person’s appearance is vital to their well-being. So no detail is too small, all concerns are important, all questions deserve an answer, and Dr. Sean feels that all patients should feel comfortable and know that he is accessible.